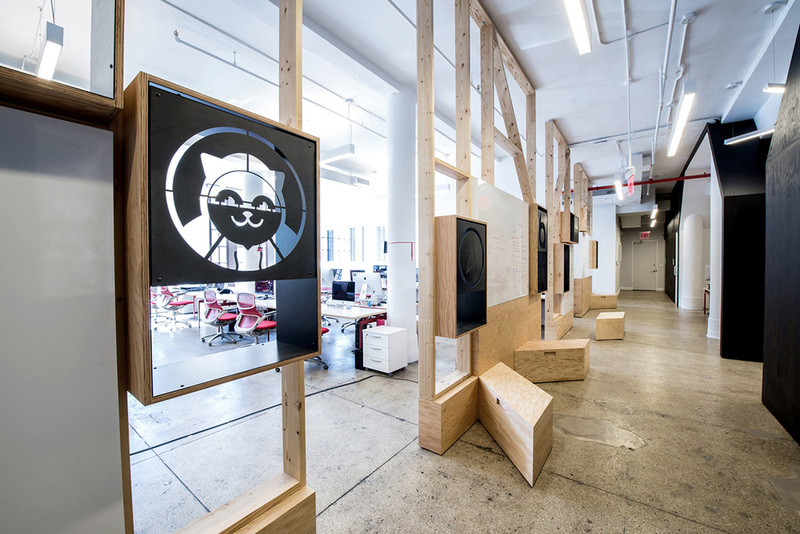 Betaworks, a thriving tech incubator company, had grown rapidly and organically in just 3 years and was busting at the seams. They needed to develop a master plan that allowed for the physical expression of their brand while facilitating the social interaction that is critical to their creative energy and success. 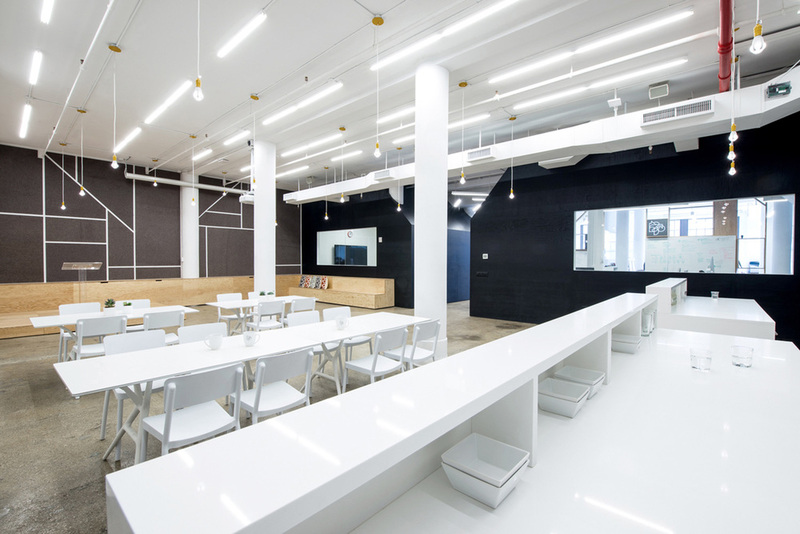 Our design adapts to the ebb and flow of their work groups and supports a range of social activities for both the in-house startups and the Betaworks executive team: creative lounge areas, ad-hoc brainstorming sessions, break out spaces for relaxing, and TED-talk type events. The space had to be more than just flexible; it had to welcome the creative expression of those who work there and support that community environment. Our solution organized the office into zones of "work" and "play", linked by a "communication street" on each floor. The "street" represents the connective thoroughfare that joins the different companies and also becomes an informal meeting area; it's populated with whiteboards, seating, and cubbies for displaying office projects. People break out onto the "street" to discuss different ideas in a quick charrette mode. 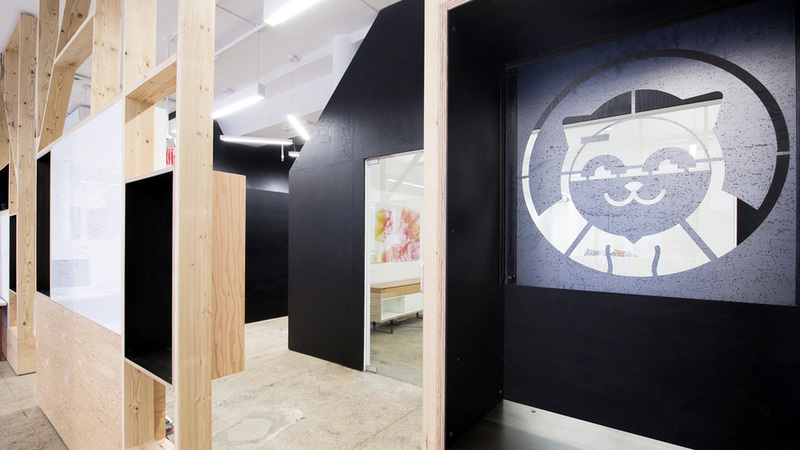 The 'street' is also characterized by a series of steel logo inserts which allow startups to claim their identity & territory within the shared office. 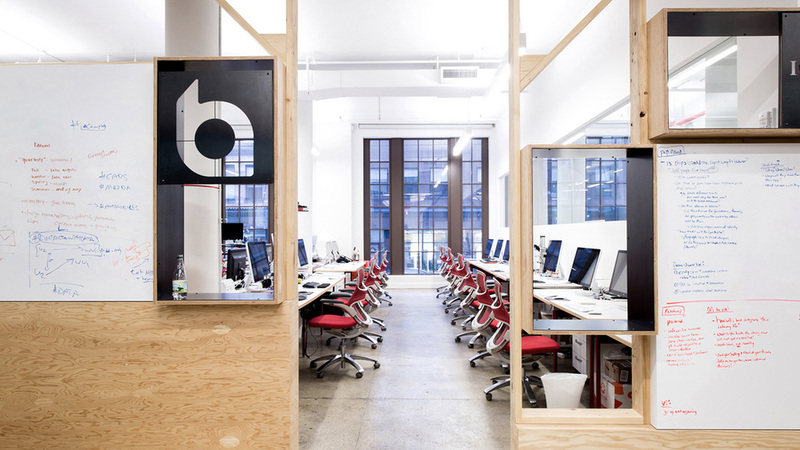 Many of the design details were inspired by the recently redesigned Betaworks logo. In it, one sees a cluster of unique forms that are fitted together with a modern interpretation of the traditional welded joint. 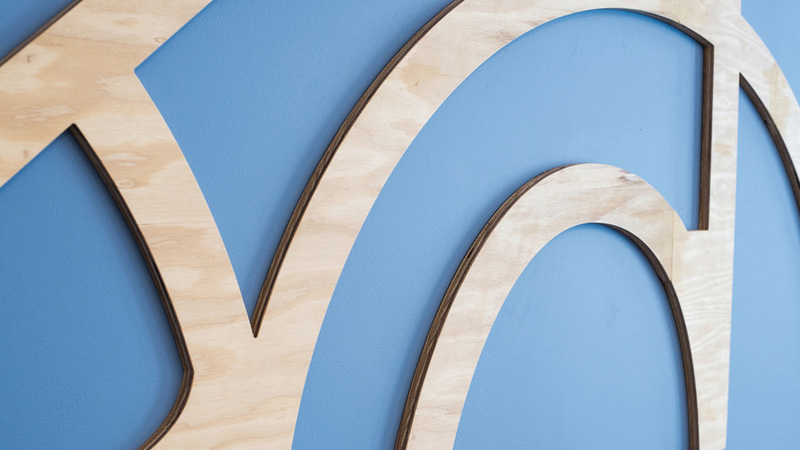 With the fillet weld in mind, we detailed the rooms, screen walls, and logos plates with hand-crafted elements—a nod to Betaworks' hands on, crafted and bespoke approach to building creative tech companies.